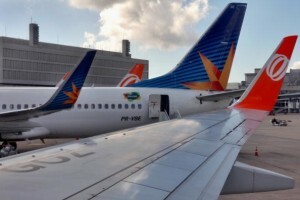 In what is being seen as a major boost to infrastructure development in Brazil, President Dilma Rousseff announced the Government’s decision of building 800 new regional airports. “It is a necessity, and it is also important to the country’s growth,” Dilma told French businessmen in Paris on Friday before leaving for her state visit to Russia. The parameters of the new plan insists that each city with over 100,000 inhabitants should have an airport within a 60-kilometer range. “We have the funds for it – and some of them originate from the very concession fees we charge from major airports,” she said. Brazil would also be looking at privatising major airports and increasing the qualification of the Brazilian Airport Infrastructure Company (Infraero), the President said. The country’s second infrastructure program had already spent $186 billion, which is 40 per cent of its investment goal by November, 2012 for the period of 2011-2014. The need for significant investments in infrastructure has been felt more acutely as Brazil prepares to host World events on its soil. Brazil hosted the Earth Summit this year and will be hosting the World Cup and the Olympics in the next 4 years.